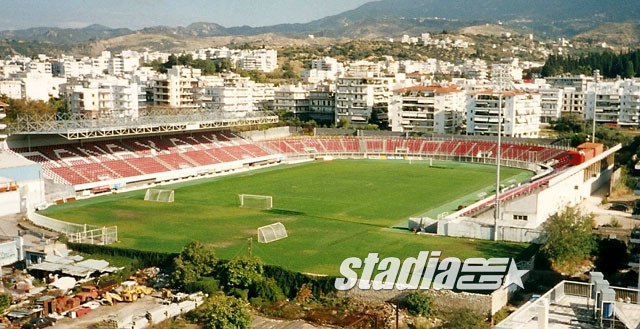 The stadium is located in Patras, 220 km west of Athens. The city has an airport, only used by charter flights. You can get to Patras by boat from Italy or train from Athens. The stadium itself is located in the north part of the city, close to the Athens-Patras motorway. To find it you must turn right at the 5th traffic lights you'll come across as you enter Patras (there is a big "AB" supermarket at the corner). After 500m you will find another set of traffic lights. Turn left and you will see the stadium on your left hand-side after 300m. 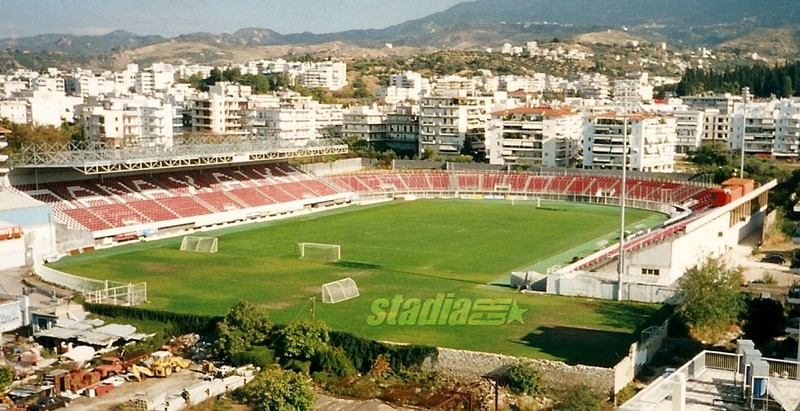 More data: Panahaiki (also spelled Panachaiki) Stadium is named after Kostas Davourlis, a great footballer who played for the team from the mid-1960s to the mid-1980s. He also played for Olympiacos and for the National Team of Greece. Although it was first used as a football field before World War II, the first stand was not built until 1955. The current north and south stands were constructed in 1972. 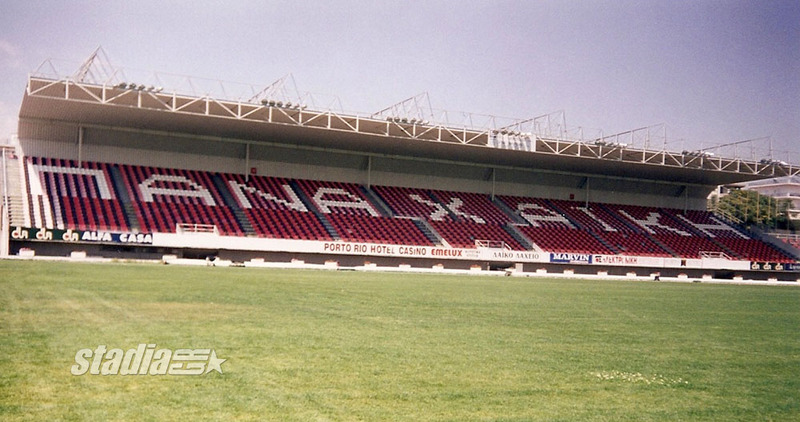 The stadium finally acquired its present horseshoe-like shape with the completion of the east curved stand in 1974. 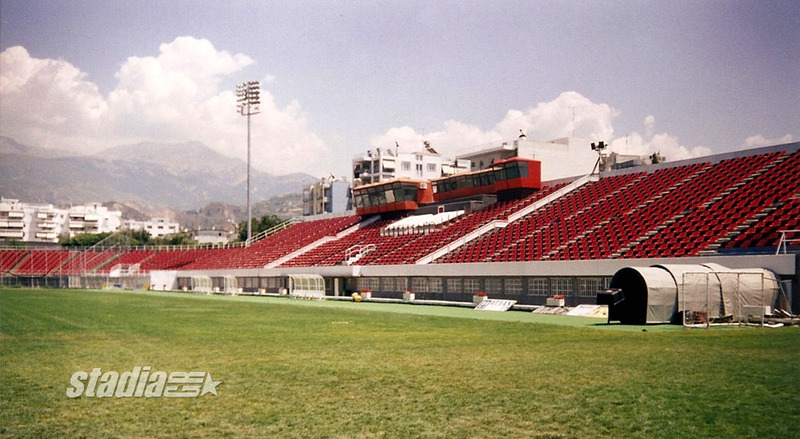 Upgrading works took place from 1997 until 2000, involving the construction of a roof over the north stand, the installation of floodlights & seats and the refurbishment of facilities below the main south stand (cafeteria, club shop). 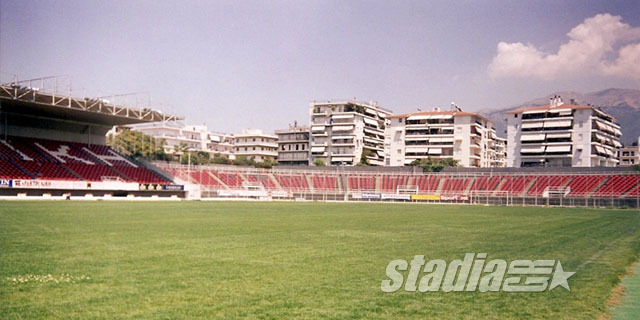 Finally, it should be noted that the stadium was one of the official training venues for the 2004 Olympic Games (football tournament). The stadium is owned by the amateur Panahaiki GE.